The lounge chair combines the traditional large and visually heavy wing chair with the light free-swing chair. The combination of the light and heavy creates a contrast and interesting shape, which elegantly combines the foot of the chair with the rest of the frame. 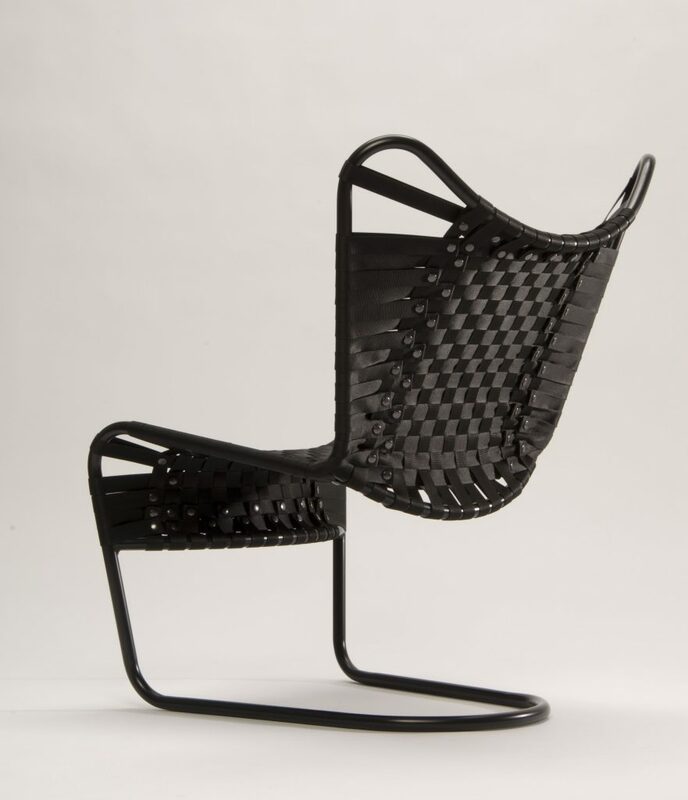 The seating itself is made up of black polyester (nylon) webbing, cross weaved into an inelastic seat and back. Owing to the springy frame, retracted crossbars and inelastic webbing you sit comfortably and resilient in the chair without touching the frame. 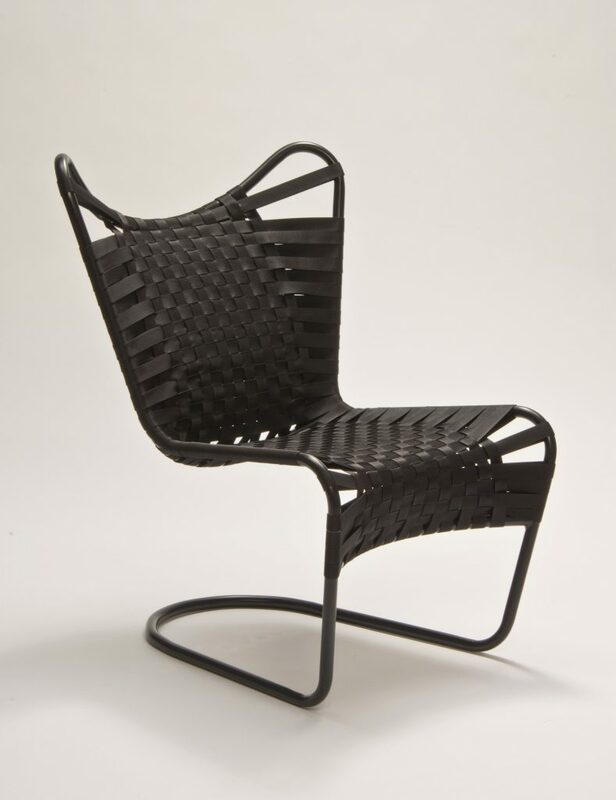 I wanted to make the weaving process for the seat and back easier so the manufacturer wouldn’t have to pull 100 m of rope through and around the frame as it is usually carried out on traditional braided furniture. 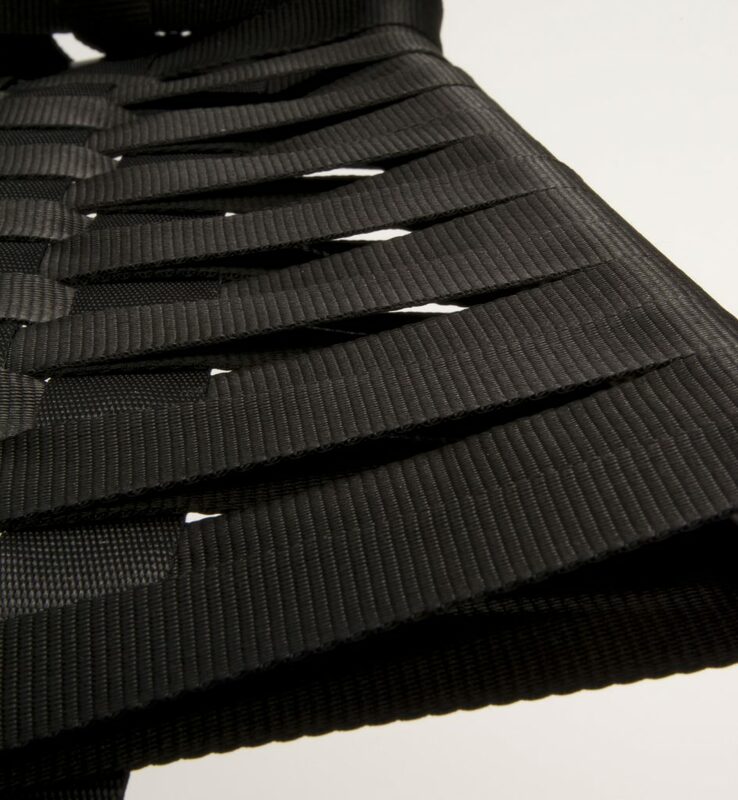 Consequently the webbing is attached with heavy-duty snaps on the backside, leaving the front clean and attractive. In this way the seat and back can easily be disassembled and assembled again whenever desired or required.